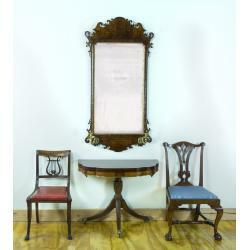 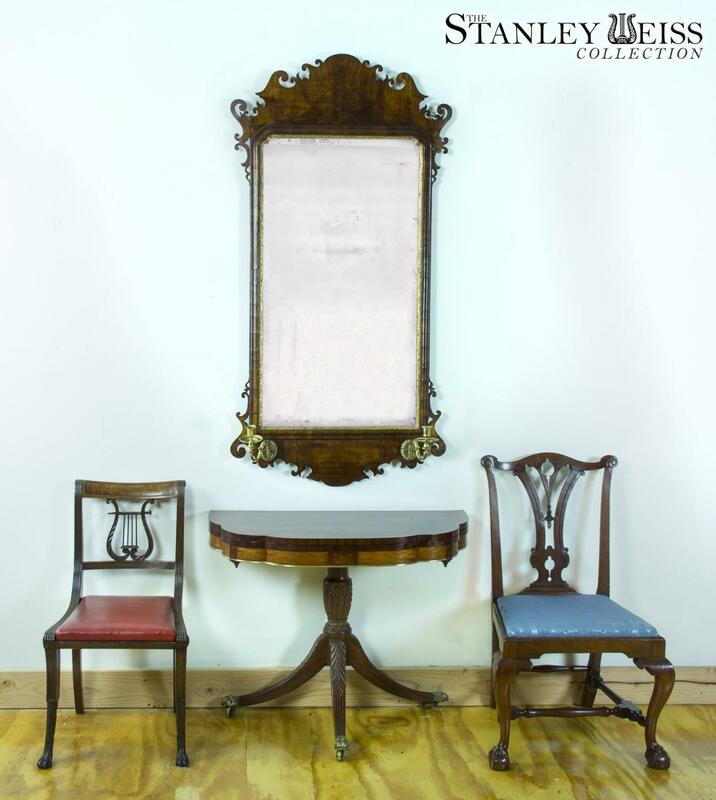 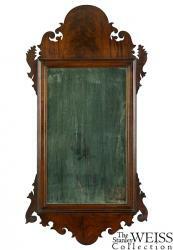 It is very rare to find a Queen Anne mirror of this scale; it covers a lot of territory. Smaller ones are relatively common, and there are a number in our collection (see sw01938 and sw01623). 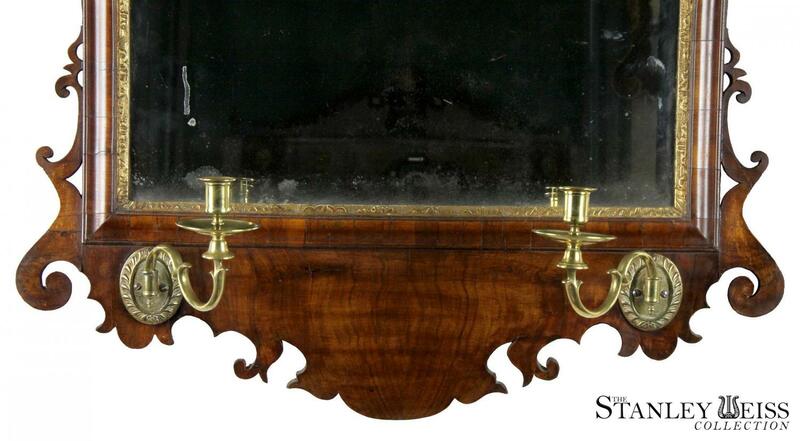 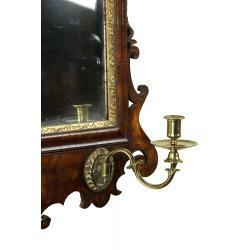 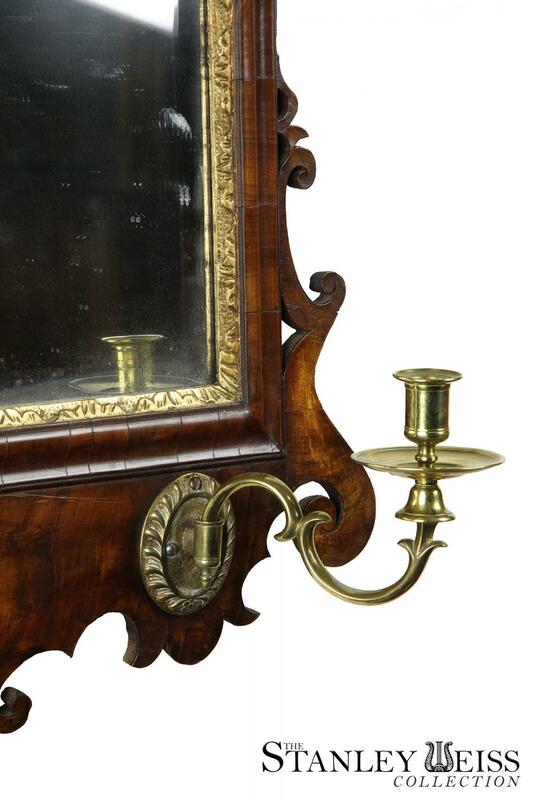 And just as rare, is to find a George II mirror with its original brass candlestick arms. 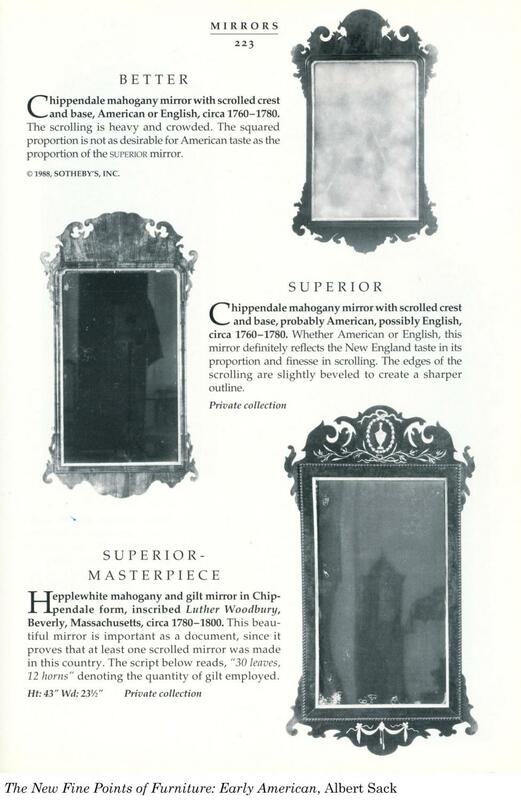 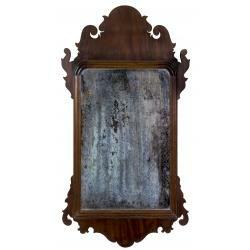 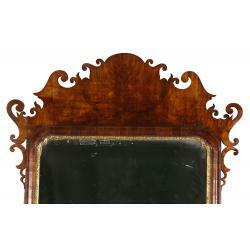 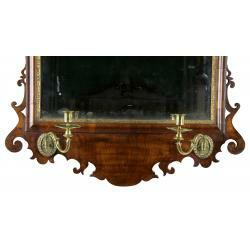 The scrollwork is finely developed, and the pinched mirror edges are another point of refinement. 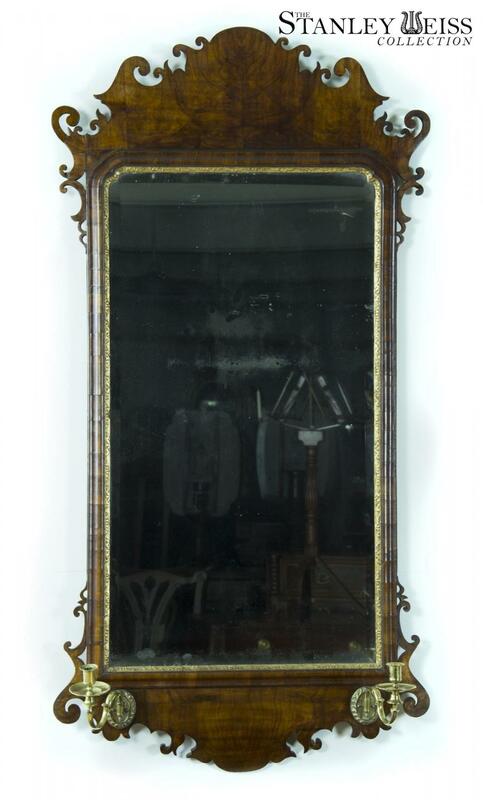 The mirror glass is old and beveled and has a beautiful countenance, which compliments this piece. 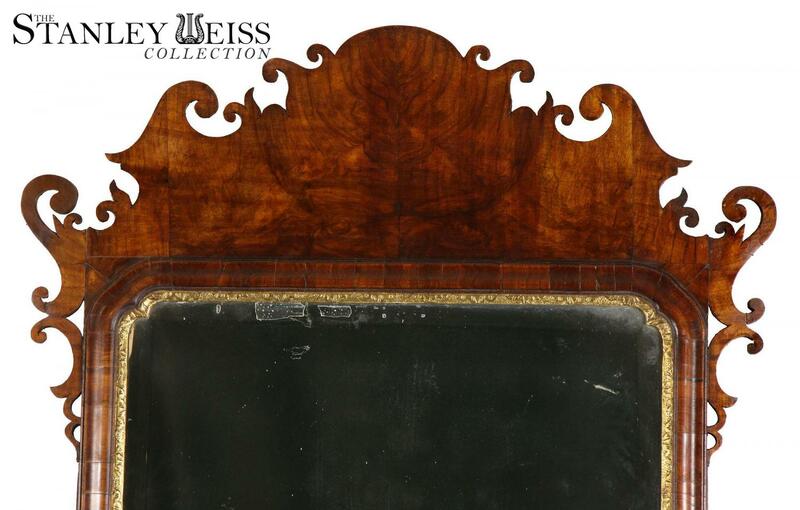 It is in excellent condition including original backboards and retains an older mellow surface. 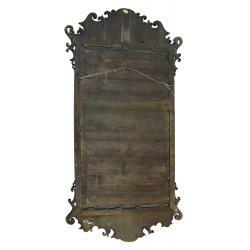 Its certainly makes a statement as a centerpiece for a hallway, office, or study, etc. 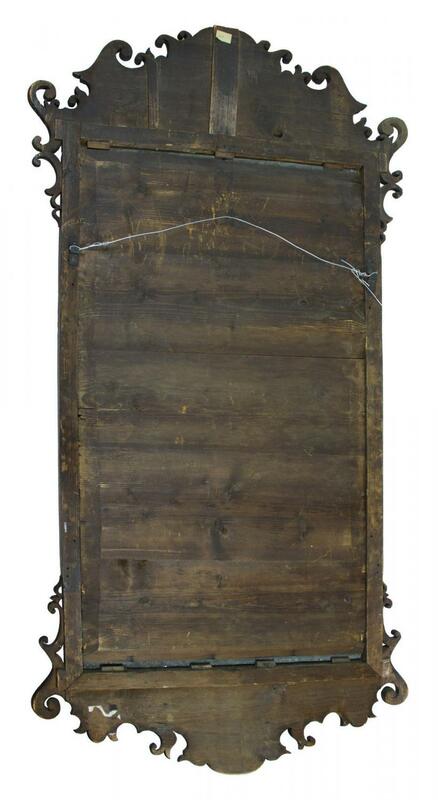 Height: 60 in. 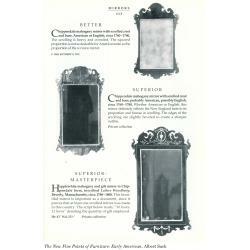 Width: 30 in.